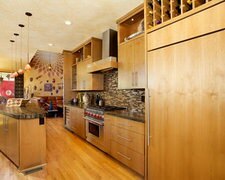 We offer complete kitchen remodeling services. Our lines of cabinetry offer high quality and durability while adding beauty to your home. You choose your wood species, finish and style to create your uniquely beautiful kitchen. Call us for a free in-home consultation.